This Nov. 30, 1989, file photo shows Japanese doomsday cult leader Shoko Asahara in Bonn, Germany. Japanese media reports say on Friday, July 6, 2018, Asahara, who has been on death row for masterminding the 1995 deadly Tokyo subway gassing and other crimes, has been executed. He was 63. Doomsday cult leader Shoko Asahara and six of his followers were executed Friday for their roles in a deadly 1995 gas attack on the Tokyo subways and other crimes, closing a chapter on one of Japan's most shocking crimes in recent memory. Japan's Justice Ministry announced the executions of Asahara, 63, and his followers. Two major Japanese newspapers issued extra editions about the executions and handed them out at train stations. "This gave me a piece of mind," Kiyoe Iwata, who lost her daughter in the subway attack, told Japanese broadcaster NHK. "I have always been wondering why it had to be my daughter and why she had to be killed. Now, I can pay a visit to her grave and tell her of this." Asahara and five of the six executed were implicated in the subway attack. The cult also carried out other crimes that together with the subway attack killed 27 people in total. Six other followers remain on death row. The others hanged Friday included two scientists who led the production of the sarin gas and one of the men who carried out the actual attack on the subway. "The fear, pain and sorrow of the victims, survivors and their families — because of the heinous cult crimes — must have been so severe, and that is beyond my imagination," Justice Minister Yoko Kamikawa told a news conference. She said the crime affected not only Japan but also sowed fear abroad. Asahara, whose original name was Chizuo Matsumoto, founded Aum Shinrikyo, or Supreme Truth, in 1984. The cult attracted many young people, including graduates of top universities. Asahara hand-picked some as close aides. 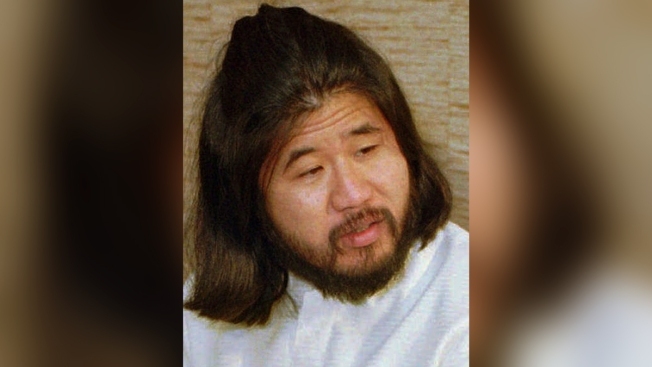 The group amassed an arsenal of chemical, biological and conventional weapons to carry out Asahara's escalating criminal orders in anticipation of an apocalyptic showdown with the government. During his eight-year trial, Asahara talked incoherently, occasionally babbling in broken English, and never acknowledged his responsibility or offered meaningful explanations. He was on death row for about 14 years. His family has said he was a broken man, constantly wetting and soiling the floor of his prison cell and not communicating with his family or lawyers. Some survivors of the cult's crimes opposed the executions, saying they would end hopes for a fuller explanation of the crimes. "I wanted the others to talk more about what they did as lessons for anti-terrorism measures in this country, and I wanted the authorities and experts to learn more from them," she told a televised news conference. "I regret that is no longer possible." Chief Cabinet Secretary Yoshihide Suga said Suga said authorities are taking precautionary measures in case of any retaliation by his followers. Associated Press video journalists Kaori Hitomi and Haruka Nuga contributed to this story.